Bobby Maddex interviews Caleb Shoemaker and Elissa Bjeletich, the authors of the Ancient Faith Publishing book Blueprints for the Little Church, about how to effectively lead your family through the Advent fast and the Feast of the Nativity. 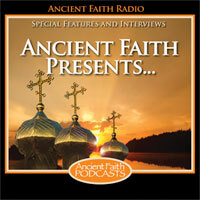 Bobby interviews AmandaEve Wigglesworth, the author of a new Conciliar Press book titled Celebrating the Twelve Days of Christmas: A Family Devotional in the Eastern Orthodox Tradition. Bobby interviews Fr. Vassilios Papavassiliou, author of the new AFP book Meditations for Advent: Preparing for Christ’s Birth.